This revised and updated edition of a trusted resource will help your church welcome people with autism into the full life of your congregation. This new edition of an indispensable handbook provides a wealth of practical tips, including a new chapter on behavior management and an updated discussion of what "Autism Spectrum Disorder" means. "Autism and Your Church contains lots of practical tips to successfully include individuals on the spectrum in church." "I love what Barbara Newman is bringing to the body of Christ. Her book is a gift. Our families need the church, but more importantly, the church needs our families." "A diagnosis of autism is often very isolating for an individual and his or her family. While the church should be the first to welcome and enfold each member of the body of Christ, it is often ill-equipped to deal with the unique needs of those affected by autism. This book provides helpful information about the diagnosis; practical, easy-to-implement strategies; and loving reminders of our mandate to interact with each person as a valued imagebearer with gifts to enhance our community of believers." 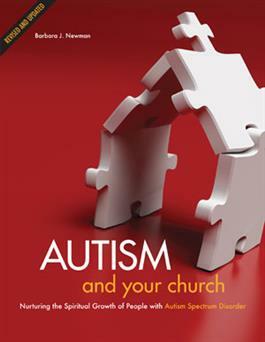 "This excellent new edition of Autism and Your Church will quickly become a well-worn resource on the desks of church staff and volunteers alike." "This book is a priceless resource for churches. Barbara Newman's inclusion strategies, behavior management methods, and strong belief in the gifts and value of all people make this book essential reading for every church worker who wishes to welcome people with ASD." Barbara J. Newman is a church and school consultant for CLC Network. She is the author of many books, including Autism and Your Church, the G.L.U.E. Training Manual, and Body Building: Devotions to Celebrate Inclusive Community. She also is a frequent national speaker at educational conferences and churches. In addition to writing and speaking, Barb enjoys working in her classroom at Zeeland Christian School in Michigan.